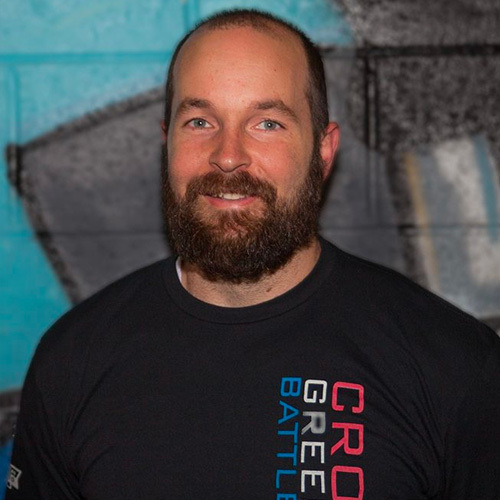 Coach Jason Brouckaert has been CrossFitting for five years, but he’s been involved in sports much, much longer than that. Jason has a background in karate, baseball, football, hockey and rugby. When Jason isn’t at the gym, you can find him hiking with his three dogs and woodworking.